For B2B marketers and sellers, it’s sometimes challenging to remember the fundamentals of customer experience. The plethora of articles and how-to guides in B2B marketing often focus squarely on “the funnel”. At the top of that funnel is awareness and at the bottom is getting the sale. But, if you talked to people, just regular ole human beings, especially ones that have been a part of a B2B sales cycle in the last six months, what you’d find is most people don’t talk about a marketing touchpoints or sales calls, instead they talk about their current experience with organizations. They’ll talk about support or enablement. They’ll talk about how much easier or harder their life became with the introduction of a technology. And so, this month we’re talking about customer marketing. And in this article specifically, I’m talking about customer communication. Take a second and consider companies you’ve purchased from recently – perhaps Amazon, Netflix, Delta Airlines, many others. How do these companies communicate with you? What types of communications do you receive? Customer communication is key, but is often overlooked or half-baked, especially in B2B. Why? Well, we tend to focus on new leads, conversions, new pipeline. Although some organizations focus on up-sell and cross-sell metrics, the true measure we recommend is Lifetime Value. This accounts for net new revenue as well as expansion into your customer base. Our clients find, not only is focusing in this area lucrative, but comparatively speaking, it’s also much easier. For more on this, check out our CEO, Justin’s post explaining why we’re so focused on customer marketing. Building a customer communication plan benefits your organization in numerous ways, including: reducing churn, increasing customer satisfaction, building advocates and referral channels, and strengthening upsell/cross-sell opportunities. And it benefits you in one major way, makes you look like a genius! You’re not as smart as this dog. But still smart. Don’t speak to customers the way you speak to prospects. Messages vary greatly and it’s important to closely segment your database. What’s one surefire way to understand and deliver what someone wants? You can also leverage email touchpoints, like newsletter, to ask customers questions. 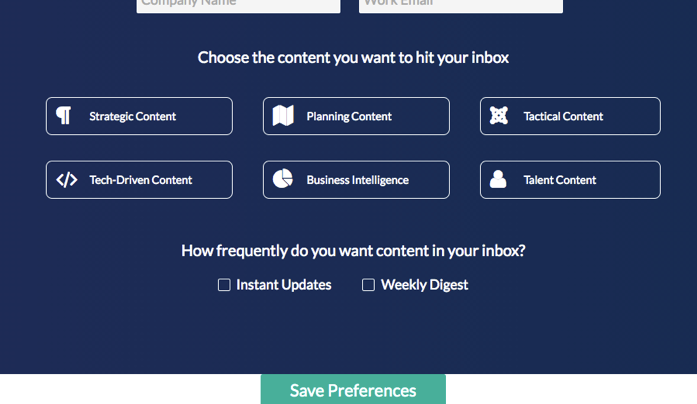 We do this little trick with single-question surveys at the bottom of our newsletter. Check out our CMO, Andrea’s recap here. Preference centers are great, low-cost tools that give the people options to pick and choose what they want. With sophisticated tools like Marketo, these pages can dynamically display different options to customers than to prospects. This is important because our content to those segments is very different. Keep in mind you need to be ready to honor* the options you serve up. It’s better to start small and add more options over time than to make promises you can’t keep. Adding those fields as filters in email sends. Pro Tip: You can streamline this a bit if you set up some cloneable topic/category-oriented program templates. Training! 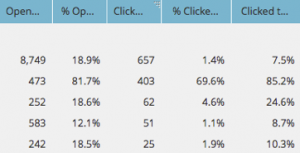 Most likely you have a team working in your automation system sending emails – they all need to know how to send based on preference opt-in’s. Sometimes we aren’t ready to present options or we know these collection modes won’t have 100% participation. How can we understand these preferences without asking? Again, look for trends in what pages/topics your customers are consuming, how often and when they’re visiting. Get feedback from your sales or support teams (whoever is interacting with customers). Are people complaining about being spammed? Are they bringing up content that has helped their experience? Do they mention gaps in communications? Those brands you thought of at the beginning of the post… have any of them gone above and beyond in customer advocacy? I love getting mail! A while back, Marketo sent me a note of appreciation, along with some Sweetheart candies (and of course purple packaging and filler). Even though I prefer chocolates, this gift has made a lasting impression on me and made me feel the love. How can you show your customers a little extra love? Sending a quick goody (find some tips here) or reaching out personally to your customers is a positive interaction for them, and is a smart play for you! This is fun stuff. Be grateful and generous with your customers and you’ll unselfishly see a return. Kim Allen likes tapping into right- and left-brains equally; and marketing automation serves perfectly in exercising both the creative and the analytical! 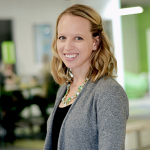 With 7+ years in the marketing automation space, she’s very thorough in strategy, troubleshooting, and tailoring systems to support business needs and goals. Kim is a past member of the Marketo Champion group and is now part of the Marketo Champion Alumni group. Located in Jacksonville, Florida, Kim enjoys spending as much time as possible in the sunshine. You can usually find her sailing, reading, cheering on her Georgia Tech Yellow Jackets and Jacksonville Jaguars, traveling, or exploring with her husband and their two dogs.